When you need custom lighting for your business location, Walters Tristate Electric is the one to call. Our expert electricians can provide energy efficient, customized lighting for a variety of indoor and outdoor spaces. Whether you’d like a festive lighting display for your storefront during the holiday season, better lighting for the landscaping around the building, or parking lot lighting, it’s no problem for Walters Tristate Electric. Lighting can bring a new look to your property or bring new focus and attention to a certain area, and also provide convenience and security. Walters Tristate Electric will help you trim your business operating costs with lighting designs that keep energy bills as low as possible. We will make sure your specialty lighting design includes bulbs that are energy efficient and install all fixtures and wiring to code. According to your specific design requirements, Walters Tristate Electric will create the perfect lighting solution to fit your business needs. Contact us to discuss your commercial lighting needs and schedule an appointment for us to view your location. We can get started right away. You can count on Walters Tristate Electric to brighten up your space! At Walters Tristate Electric, we design lighting solutions for many small businesses all around the local community, and we're familiar with some fundamental electrical and lighting needs all businesses share. We know it’s important that your lighting functions well and looks good without huge operating costs. Mr. Electric electrical experts enjoy creating special-purpose lighting solutions for local businesses. We’re dependable and customer focused. We won’t rush your job to get to the next. We’ll design your project to spec, explain any options and get your approval. Then, we’ll install it right the first time. Before leaving your property, Walters Tristate Electric always provides a free electrical inspection of your business premises. Commercial fluorescent bulbs generate more heat and greater magnetic interference than residential bulbs, which makes proper installation crucial to avoiding fire risks or interference with your electronic equipment. Ask Walters Tristate Electric to evaluate your current commercial lighting setup for energy efficiency. We may have options that can lower your operating costs significantly. Call on Walters Tristate Electric for all your company’s specialty lighting needs. Custom lighting is no problem for the experienced, professional electricians at Walters Tristate Electric. 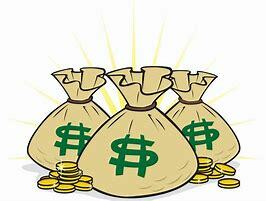 The Simple Way To Make Money, Save Money and Get Cash Back!! !